Comprehensive guide for business owners who want to take the leap to online trading and need to get an idea of the e-commerce development framework and possible pitfalls involved. See how the core content template Loop works on a circular process and what its main parts are. Find a collection of major wordpress php snippets for header and templates, basic template files, plus extra stuff. A quick help on your tweaking efforts. Either you are in the Design Industry or seeking support this might be your kickstart pallet. Devloping a descent and promising web app is a serious task that requires to consider all phases of a process. Here you can find a quick guide. 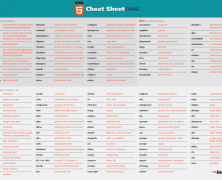 The first part of the html5 canvas elements for quick reference. 2D context, Compositing, Transformation. 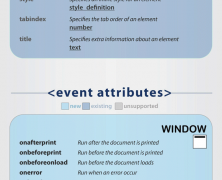 The second part of canvas elements in HTML5 like Colors, Text, Paths etc. Dive into the deep of the wordpress administration. A long segmented list of templates, tags, attributes, parameters and values. Wordpress is ready to conquer the world of cms and with a 53% of the global market share is rightfully considered a phenomenon in the internet culture. 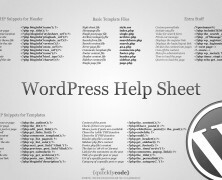 If you utilize Wordpress either as blog or cms you will love this. Speed up your pages to reach better conversion rates and engagement. Aggregated data for the average salaries in web design and web development landscape from TIme Doctor in collaboration with Infoactive US. Ever wonder what the rates of tech developers are around the world? Check out this awesome infographic and play safe. Report on Worpress web market penetration that documents its dominance as a powerful CMS platform against its rivals Joomla and Drupal.